While we don't condone iParenting, we do believe that some iPhone and iPad apps can provide unique educational and creativity-boosting opportunities for kids. We also admit there are certain times that well-designed apps are a life saver - keeping a toddler happily distracted during cross country air travel for example. So we narrowed down the oodles of apps available for kids to bring you the top 10 best kid-tested and parent-approved apps to entertain, educate and inspire toddlers and preschoolers. 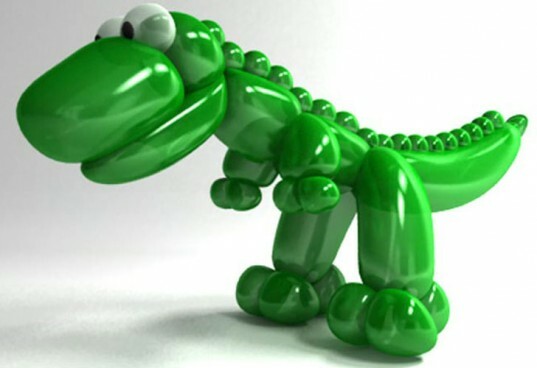 Ever wish you could make balloon animals? Well, this app helps you do it. From blowing up the balloon, to popping it at the end, this clever app includes 3D images of lots of different balloonimals for you (err..your kids) to see. Shake your phone to see another one take shape or pet it to marvel at its tricks. This just-launched app is a digital, toddler-friendly take on the classic drawing game exquisite corpse. It allows toddlers to mix and match parts of different circus characters like the dancing bear, the strong man and the trapeze artist. We promise your kiddo will get a kick out of all the silly combinations he tries. What makes it even more fun is that by creating characters with correct matches of heads and feet, players unlock games and new features such as new characters popping in, and the ability to poke the animals to hear them roar, chirp or tweet. Toddlers and preschoolers can learn new words, spelling, letters, and phonics with this simplistic yet fantastic app. The app includes 45 different animals to learn and it has versions for both the iPad and iPhone. This award winning app is an interactive version of the Dr. Seuss classic featuring the original text and artwork. Kids can listen to or read the book, and as they go they can touch the pictures to hear words spoken out loud and words are highlighted as the story is read. 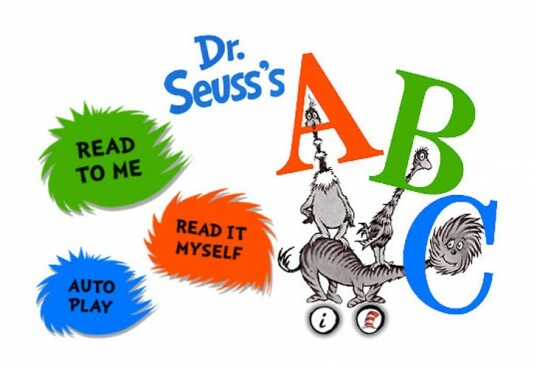 If your kid loves all things Seuss, this app will definitely become a fast favorite. Wish you could take all your kids’ coloring books on the road? Scan them into this app and let kids go to work with 66 brushes and 36 colors to choose from. Kids can even email their finished products straight to Grandma from the app. 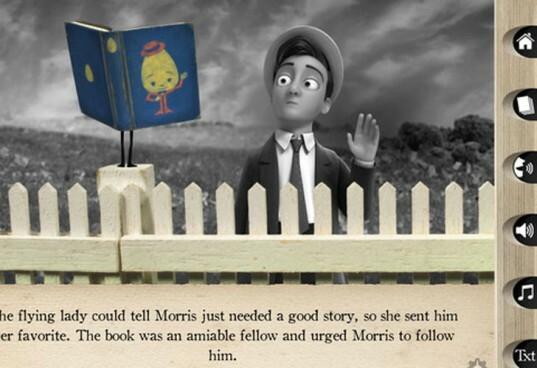 Like no other children’s book you’ve read before, this interactive iPad book-app has a hidden feature on every page. Not to mention the supurbly creative story and animations dreamed up by author and illustrator William Joyce, an ex-Pixar designer, New Yorker illustrator, Emmy winner extraordinaire. You can read it like a book, listen to the book, watch it like a short animated film, play with the pages, and truly experience this story. Help kids learn their animals – over 50 of them – with this simple flash card-style app. As they tap to flip through the animals, they can hear the names, sound effects, or spellings. Don’t have a real pet at home? No problem. 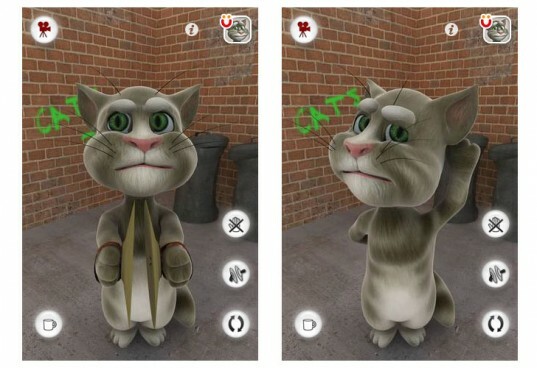 Introduce your toddler to Talking Tom. Pet him, grab his tail, give him a glass of milk, and laugh at this kittie’s funny antics. He’ll respond to kid’s touch and repeat what they say to complete the interactive experience — no litter box or catnip required. 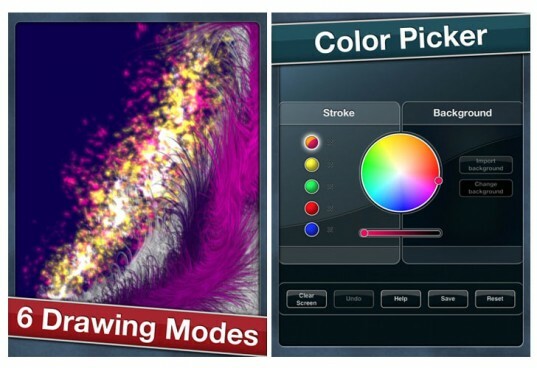 Your kid can create unique, psychedelic artwork with this app. Like a new twist on finger painting, kids just need to stroke their fingers across the screen to get started. We’re sure you’ll appreciate the mess-free aspect and your kids will love experimenting again and again to see what they create. 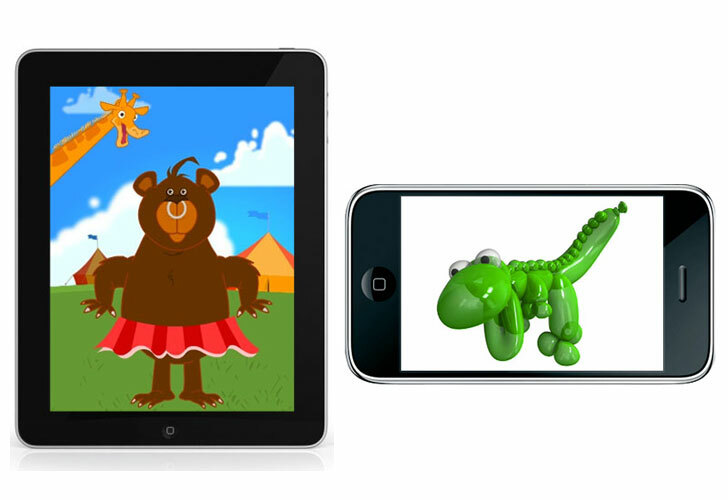 An award-winning learning app for the preschool set, this app features (you guessed it!) a magical school of fish that works together to form numbers, letters, shapes, colors and more. With 8 different educational activities included, your kids won’t get bored anytime soon. Forget kids, I want that coloring book app for myself! It would certainly make my subway rides much more enjoyable. Balloonimals looks like such a fun app! My kids love creative apps and their favourite is Mister Maker Let's Make It. They like glue and glitter and making a mess, so this app is perfect for when you don't have access to art materials (with the added bonus of not having to clear up afterwards!) There's a gallery of artworks created in the app here which shows what you can do - http://www.p2games.co.uk/mr-maker. 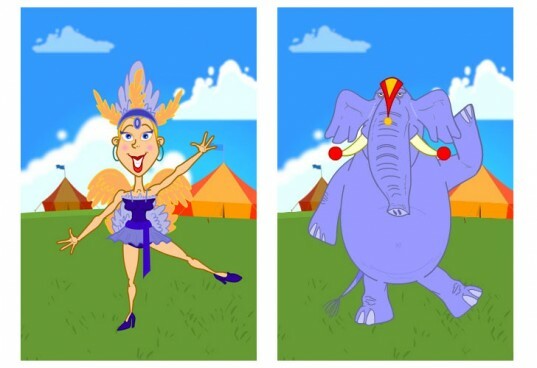 This just-launched app allows toddlers to mix and match parts of circus characters like the dancing bear, the strong man and the trapeze artist. We promise your kiddo will get a kick out of all the silly combinations he tries. What makes it even more fun is that by creating characters, players unlock games and new features such as the ability to poke the animals to hear them roar, chirp or tweet. Wish you could take all your kids' coloring books on the road? Scan them into this app and let kids go to work with 66 brushes and 36 colors to choose from. Kids can even email their finished products straight to Grandma from the app. Like no other children's book you've read before, this interactive iPad book-app has a hidden feature on every page. Not to mention the supurbly creative story and animations dreamed up by author and illustrator William Joyce, an ex-Pixar designer, New Yorker illustrator, Emmy winner extraordinaire. You can read it like a book, listen to the book, watch it like a short animated film, play with the pages, and truly experience this story. 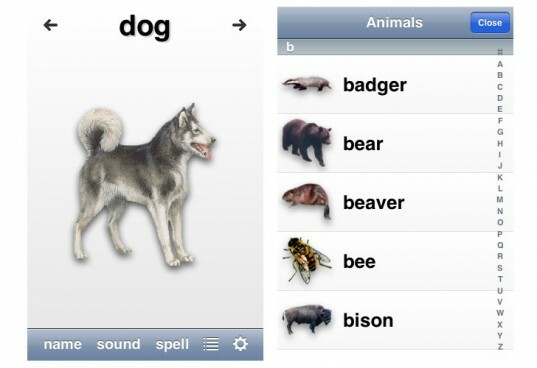 Help kids learn their animals - over 50 of them - with this simple flash card-style app. As they tap to flip through the animals, they can hear the names, sound effects, or spellings. Don't have a real pet at home? No problem. Introduce your toddler to Talking Tom. Pet him, grab his tail, give him a glass of milk, and laugh at this kittie's funny antics. He'll respond to kid's touch and repeat what they say to complete the interactive experience -- no litter box or catnip required. 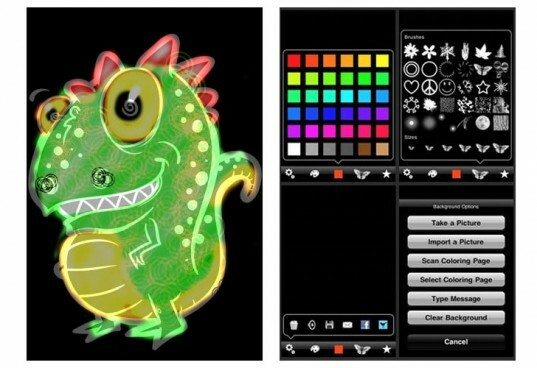 Your kid can create unique, psychedelic artwork with this app. Like a new twist on finger painting, kids just need to stroke their fingers across the screen to get started. We're sure you'll appreciate the mess-free aspect and your kids will love experimenting again and again to see what they create. 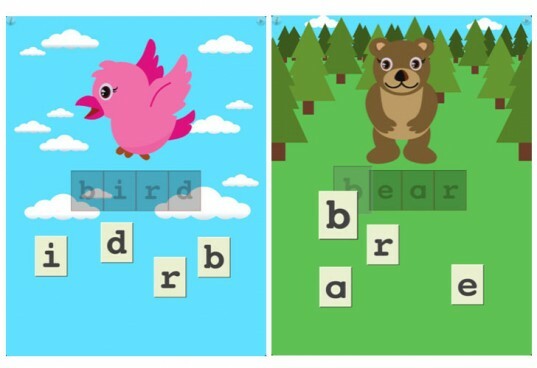 An award-winning learning app for the preschool set, this app features (you guessed it!) 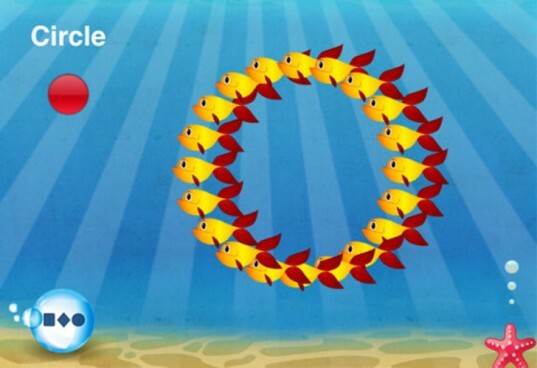 a magical school of fish that works together to form numbers, letters, shapes, colors and more. With 8 different educational activities included, your kids won't get bored anytime soon.